Happy Ronnie was brought into us as a stray, he has now completed his assessment and all his vet checks. 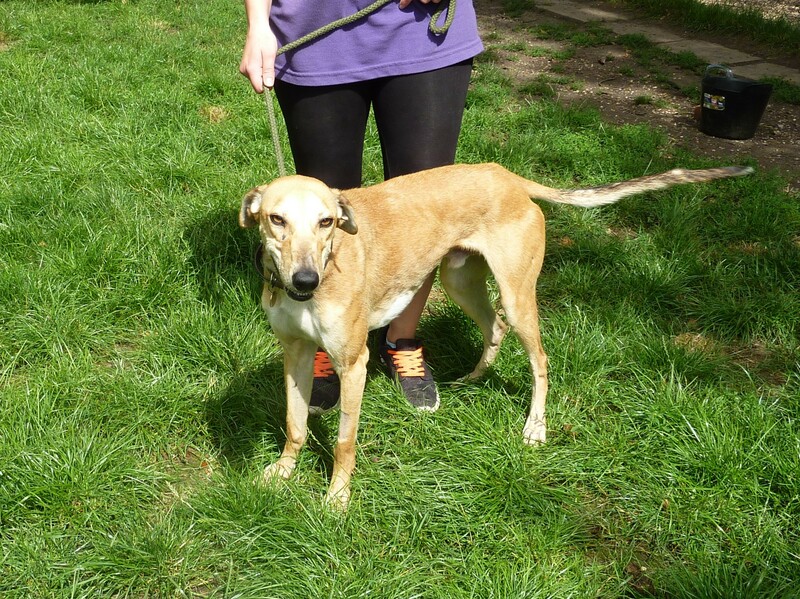 He is housetrained and mixes well with the other dogs in the kennels. Lurchers are very laid back creatures and enjoy nothing more than a cosy settee to call home. Ronnie has been neutered, microchipped, vaccinated and had his flea and worming treatments. If you would like to meet Ronnie please give us a call, he is waiting for you.